Canelo handed temporary suspension – will May 5 rematch with GGG go ahead? Should it go ahead? 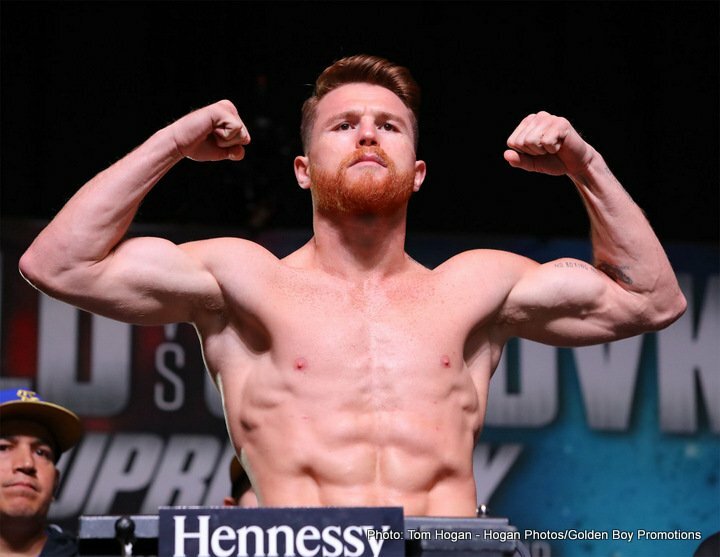 As fans may have read by now, Mexican superstar Canelo Alvarez was yesterday handed a temporary suspension from the sport by the Nevada State Athletic Commission – effective from now until April 10, when Canelo will have to attend a hearing and present his case; this date being the date when a decision will presumably be made as to whether or not the May 5 return fight with Gennady Golovkin will go ahead as planned. Fans now want to know if the fight will go ahead on May 5. Should it go ahead? Despite Canelo’s pleas of innocence and his quite plausible story, the bottom line is the fighter has failed not one but two voluntary drugs tests. For fighters such as Lucas Browne and Tyson Fury – both of who had issues along these lines quite recently – a failed test meant a suspension consisting of a number of months and there were no ifs or buts. Why should Canelo be any different? GGG has made clear what his own suspicions are: asking Canelo what the alleged needle marks on his abdomen are a result of, and also asking out loud how Canelo’s muscle mass has grown, to what many agree is a quite alarming extent and in a relatively short period of time. GGG, via his promoter Tom Loeffler, who spoke with RingTV.com, said he will be fighting on May 5 regardless of the results of the April 10 hearing. If Canelo is punished to the extent of a months-long suspension, GGG will fight someone else on that date (very possibly reigning WBO middleweight champ Billy Joe Saunders). It would be interesting to see what the results would be if many thousands of fight fans the world over voted on whether or not the Golovkin-Canelo rematch should happen on May 5. Do YOU think the fight should go ahead as scheduled? Previous boxing news: Whose resume is the most impressive: Anthony Joshua’s or Joseph Parker’s? You are here: Home / Boxing News / Canelo handed temporary suspension – will May 5 rematch with GGG go ahead? Should it go ahead?